Crystal Metallic Sunshine 5328 Bicone Swarovski Crystal Beads 4mm. 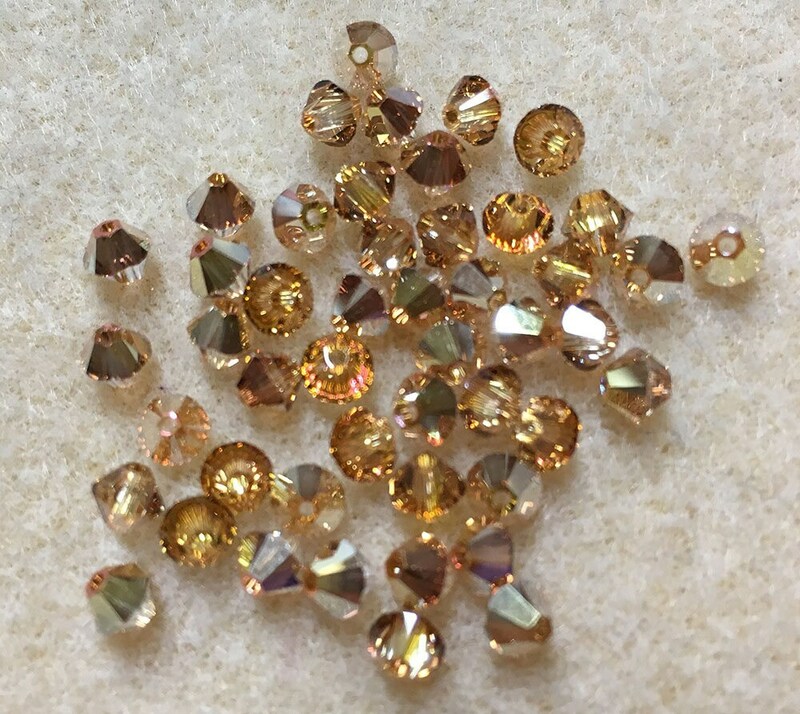 Bag of 24 Crystal Metallic Sunshine 5328 bicone shaped Swarovski crystals measuring 4mm. Hole size: .8mm; Maximum wire gauge for wrapping: 20 ga. Received Quickly - exactly as per listing - credit for postage overage much appreciated! - many many thanks!